Automotive enthusiasts fully appreciate the fact that the concept of one size fits all should never have a place within the performance car industry. This is particularly relevant in terms of car exhaust systems. Specific configurations are able to enhance fuel efficiency, speed and power. However, stork or generic models can actually rob a performance vehicle of its unique characteristics. Tarmac Sportz has been offering quality products and services for over seven years and our selection of exhaust designs will ensure that demanding requirements can easily be met. Let us take a look at some of the variants that are offered as well as a handful of their benefits. These and other systems have been built by professionals for professionals, so little is left to chance in regards to dependability. They are likewise able to be installed on popular brands such as Nissan, Toyota, Subaru and BMW. Quality welds, strong attachment points and accurately machined bends all further ensure that installation will not be a problem. The efficacy of performance car exhaust systems will often revolve around how they are configured. Tarmac Sportz supports cat-back, header-back and axle-back variants. Many of these are likewise provided with header, intermediate or crossover pipes. These options will naturally depend upon the specific make and model chosen. The main intention of our experts is to provide the exact design that is able to maximise the power and control of the vehicle in question. Modern elements will also help to maximise fuel efficiency; quite important during a race or a similarly competitive event. We should always remember that aesthetics go a long way in helping to define the modern performance car. Therefore, Tarmac Sportz provides a number of eye-catching finishes such as chrome and brushed steel to choose from. These are meant to catch the eye of onlookers and in many cases, their appearance can be tied directly into other accents such as rims or metallic body accents. Some are offered in do-it-yourself kits to further enhance the overall process while allowing the user to tweak specific parts to his or her personal preference. 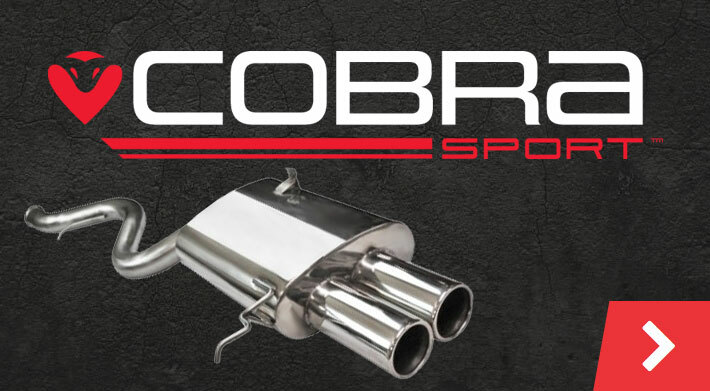 Bespoke performance exhaust systems represent only one category of products available through Tarmac Sportz. Whether referring to electrical components, braking kits, wheels, fuel injection systems or engine accessories, modern enthusiasts should look no further than our portal. Please have a closer examination of these products and if there are any questions, a representative will be happy to help.